Jane Lee Deter, 87, of Atlantic, Iowa, passed away Saturday, Jan. 5, 2019, at her home in Atlantic. Jane was born Feb. 25, 1931, in Fort Scott, Kan., to Reese Edward and Elizabeth Lorene (McCormack) Laughlin. 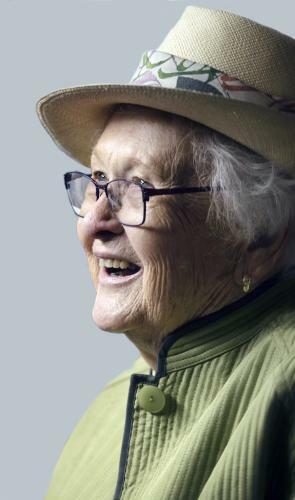 She lived in Pleasanton, Kan., until the family moved to California in 1941, where they lived in Auburn, Isleton, Cedarville, Alturas and Red Bluff. They returned to Kansas in 1945 and then moved to Papillion, Neb., in 1946. Jane graduated from Papillion High School, Papillion, in 1949. She then attended the University of Nebraska-Lincoln, where she was a biology major and member of Gamma Phi Beta sorority. She married Donald E. Deter in 1950, and they had three children, Rodney R., D. Scott and Jennifer A. They lived in Sioux City, Iowa, before moving to Atlantic on July 1, 1964. Jane was a member of the First United Presbyterian Church in Atlantic and a member of the Friendship Force. She was a big supporter of the Girl Scouts and was a member of the Girl Scout Council. She was also a 4-H leader. Jane taught needlepoint and enjoyed playing bridge. She played tennis, volleyball and golf. Jane was an avid adventurer and traveler. She had traveled to five continents and 61 countries. Preceding her in death were her parents; a son, D. Scott; and her husband Don. Jane is survived by a son, Rodney Deter and Lanita Kirby of Atlantic; a daughter, Jennifer Deter and Craig Glasgow of Percival, Iowa; grandchildren Rebekah (Ryan) Kelly of Durham, N.C., Ryan (Jaclyn) Deter of Simpsonville, S.C., and Sarah Grady and Howard Kaplan of Chicago, Ill.; great grandchildren, Ansley and Blakely Deter, Maude and Jane Kelly, and Ben and Lily Kaplan; a sister, Jeanette (Ken) Kinsey of Iowa City, Iowa; a niece, Elizabeth Hawley of Minneapolis, Minn.; and two nephews, Kristopher Kinsey of the U.K. and Jim Brunn of Minneapolis. A memorial service was held Saturday, Jan. 12, 2019, at Hockenberry Family Care in Atlantic with a private burial in the Atlantic Cemetery. Memorials may be left to the Girl Scouts. Hockenberry Family Care in Atlantic, Iowa, was in charge of services. Condolences may be left at www.hockenberryfamilycare.com.